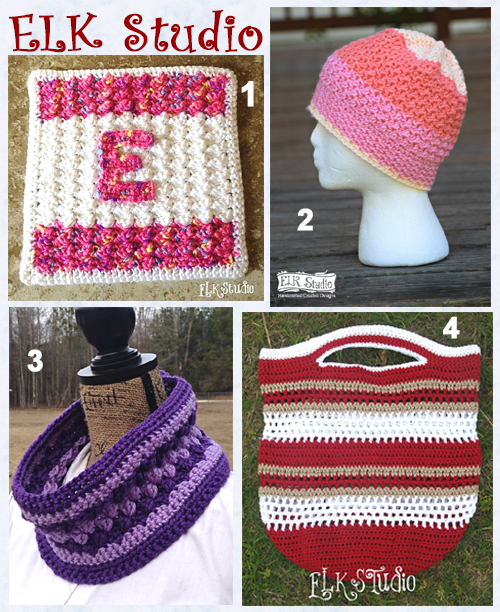 crocheters, check out some of her beautiful designs with the links below. 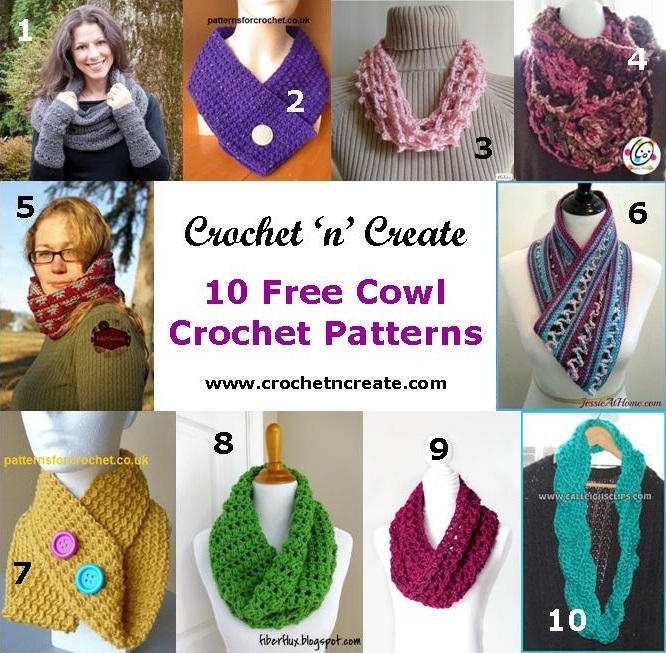 This entry was posted in beanie hat, crochet bags, crochet blanket, crochet cowl, Designers Corner, Free Crochet Pattern Finds, Round Ups and tagged crochet bags, crochet blanket, crochet cowl, crochet hats, free crochet patterns on 25th March 2017 by crochetncreate. 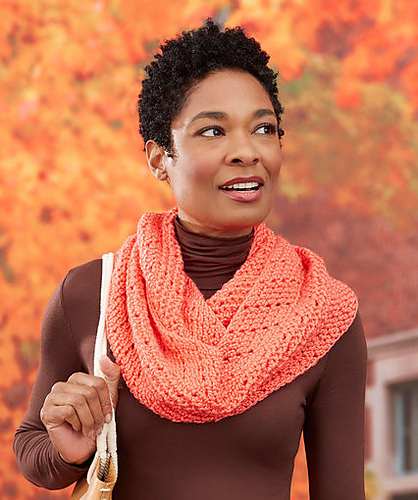 Make this slanting shells cowl as a treat to yourself to ward off the last few weeks of Winter. 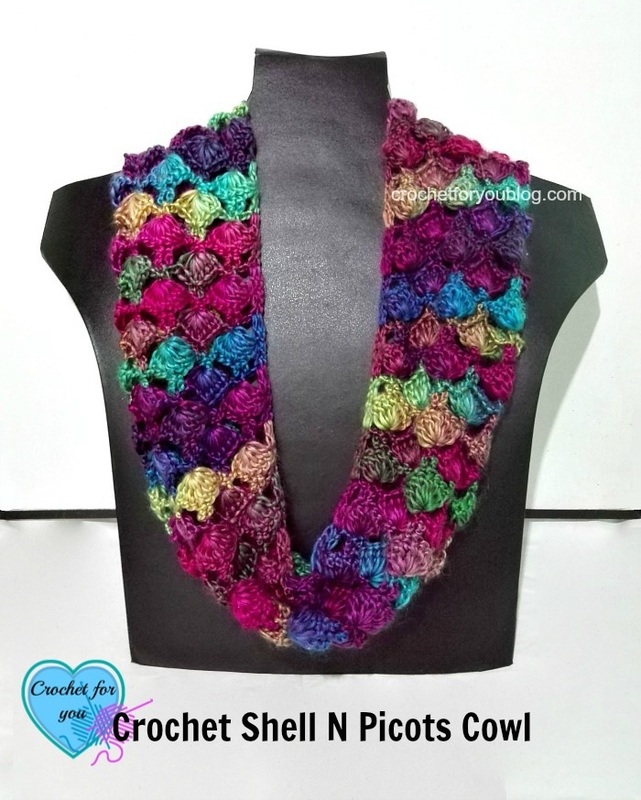 It is a great replacement for a scarf, made in a worsted weight yarn with a leaning shell design, wear it loose around your neck for style or folded over for warmth. 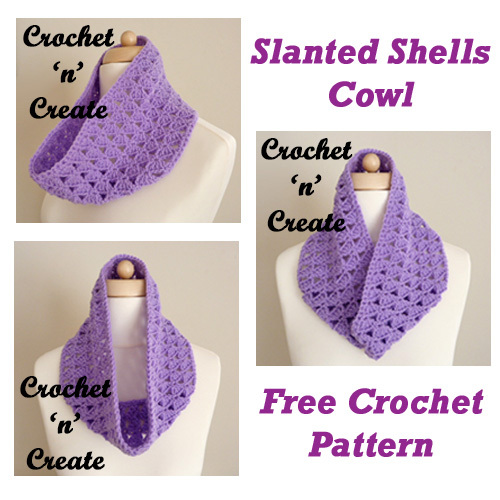 I have crocheted it in a pretty lilac color, but it would look nice in dark colors too. 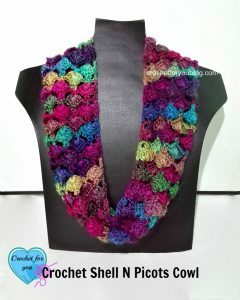 This entry was posted in crochet cowl, free crochet patterns and tagged crochet, crochet cowl, crochet scarf, crochet shell, free crochet patterns on 14th February 2017 by crochetncreate. lovely arrow shape, made in bright colours it will compliment any outfit . This entry was posted in crochet cowl, Free Crochet Pattern Finds and tagged crochet, crochet cowl, crochet patterns, crochet stitches, free crochet patterns, free pattern on 17th November 2016 by crochetncreate. added just 10, but I could have easily made a much bigger list. 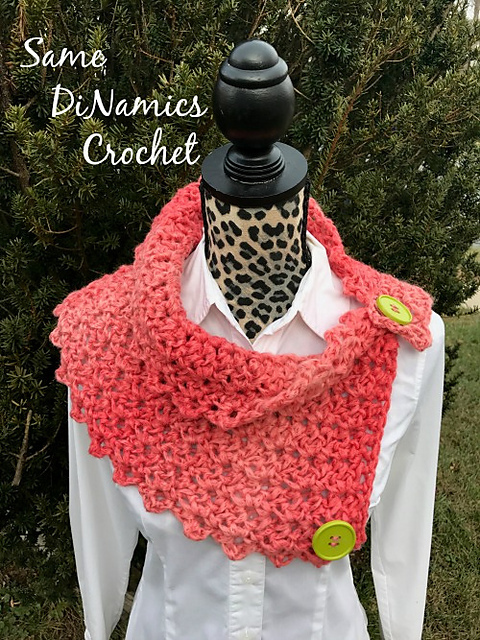 This entry was posted in Round Ups and tagged crochet, crochet cowl, crochet patterns, crochet stitches, free crochet patterns, free pattern on 1st October 2016 by Heather. 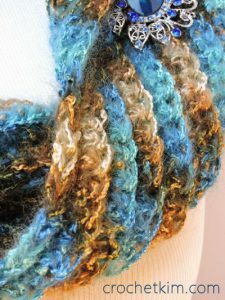 effect and variegated yarn is stunning. Just add your favourite brooch to compliment any outfit you wear. 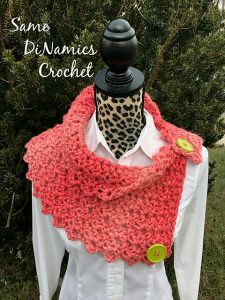 This entry was posted in Free Crochet Pattern Finds and tagged crochet, crochet cowl, crochet patterns, crochet scarf, crochet stitches, free crochet patterns, free pattern on 4th September 2016 by Heather.